A week or so ago I wasn’t bothered where the remains of Richard III ended up. I wondered what all the fuss was about, and found the wrangling a bit unseemly. Since then, having read a great deal more, I am now bothered. Deeply bothered. And not in favour of a York Minster burial, not at all. Why are so many so bothered? 1) Because he was a king. Which means his bones are more important than other people’s bones. I dispute this but accept it’s the general view. 2) He has a massive number of supporters, even though he’s been dead for centuries. Respect to him for that. 3) His supporters want to bring him ‘home’. Whether York Minster is ‘home’ is my main ‘bone of contention’. Why has it got so massive? 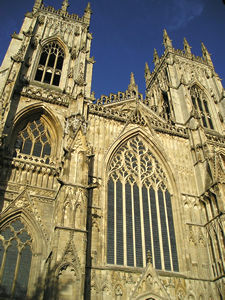 Why would a York person not favour York Minster? 2) It’s 2013, not 1485. As far as I’m aware the Minster no longer buries people within its confines, and probably hasn’t done for a long while. 3) York doesn’t need this for tourism. The place is stuffed full of fascinating historic attractions already. 4) There are other places in Yorkshire which seem to have a claim to being ‘home’. And perhaps Northamptonshire does? 5) Ricardians from all over the world are adding their voices to the lobbying for York. I think perhaps they see York as a quaint old place where we’re constantly burying important folks in the Minster, wearing robes and jousting in the streets. This is a 21st century community, our Minster is at the heart of it, and not all of us want a Ricardian shrine in the middle of it. The lobbying for York may be successful. I keep thinking of that flag at half-mast at Buckingham Palace, eventually, after the death of Diana. The most massive and powerful institutions give in if harrassed enough. Local school pupils have been writing to the Queen. Their opinion is that Leicester is being ‘selfish’. Children in a Leicester primary school might think York is being ‘greedy’. I do. Politicians have latched on to it as a popular cause. It’s handy for distracting us from the cuts/scandals/etc going on at present affecting the living people in York/Leicester/wherever. Depressing but inevitable. Hearing that York MP Hugh Bayley had joined the campaign was the final nail in the coffin of my long-dwindling support of the Labour Party. It resulted in a still, quiet, profound moment when I realised that there really isn’t anyone to vote for anymore, next time, next general election. It doesn’t really matter which party anymore, Labour are just as keen to latch onto the apparent appeal of a dead monarch’s bones as the Tories would be. Late in the day, when they’ve assessed first how popular it is. Interesting outcome, appropriately medieval, having no one to vote for. The debate looks set to rumble on for months. The burial place is just part of it. There have been calls for a Catholic service, suggestions of a full state funeral, and a petition for a lying in state arrangement. Potential for further massive disagreement over what is appropriate and respectful, isn’t there. I hope everyone who’s lobbying for York is prepared for all that. well said.. especially the observations about our Labour representative. I’ve yet to see any evidence that he wanted to be buried in York Minster. I suspect he wanted to live a long life, as king, and die peacefully of old age and be buried in Westminster. None of us always gets what we want. Squabbling over his bones is unseemly, petty and disrespectful. If this matter can’t be settled in a dignified way, then the better party should withdraw their objections and let him be buried in Leicester. Totally agree. 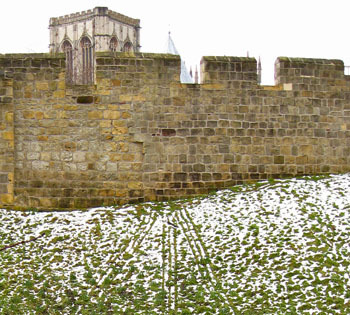 I noted that someone made an excellent point on Ripon Cathedral. Another open debate, but it is North Yorkshire, they’d benefit the tourism, don’t charge for access and are we really bothered. We’ve found our king being the main point. I noticed the Kings Arms pub York has his picture as the pubs sign which makes York again a favourable spot but still can’t find a decent diagreement for Ripon recieving his remains. Interesting that you mention pubs. Bar Salvation on Rougier Street was at one time (1980s) called the Richard III. Which, as a friend mentioned recently, was the only time in 40-odd years of living here that he heard the name Richard III spontaneously mentioned. Me too. And even then, barely ever, as locals called it the Grobs, a reference to its 1970s name ‘the Grob & Ducat’. Hugh Bayley MP and others would have everyone believe York is full of Richard III admirers, all desperate to ‘bring him home’. Seen no evidence of that myself. But nice to be reminded of the Richard III/Grobs pub.